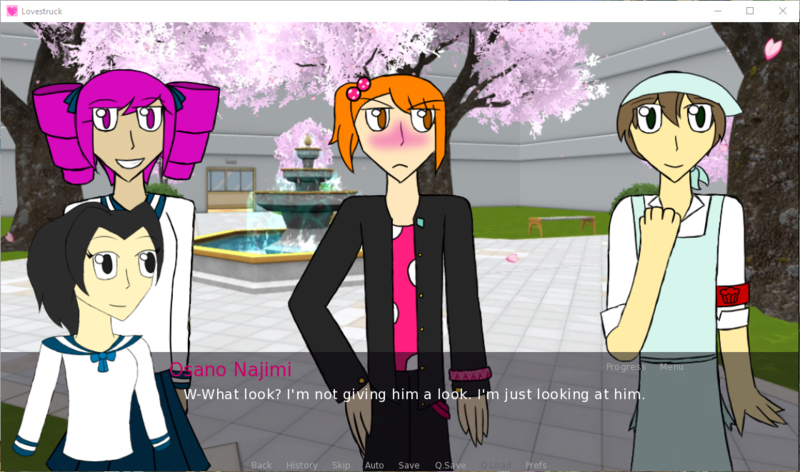 Lovestruck is a Yandere Simulator Fangame- a dating sim game featuring the male versions of the rivals from Yandere Simulator, who were first revealed in the 2017 April Fool's video. Play as Ayano Aishi, an ordinary girl in her second year of high school living in a mostly-genderbent version of the Yandere Simulator universe, and pick from ten(+) different characters to romance. 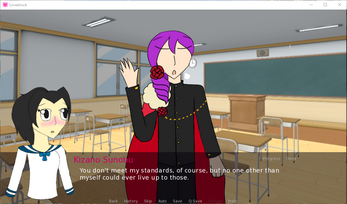 Progress: Day One is done (the 'intro cutscene', if you will). Started preparations to add Day Two and replace lots of spritesets. Check the Devlog for build history and what's changed and all that. Once I upload a new build, the previous build will also be available for comparison purposes.